A zany pursuit of love’s twists, turns, ulterior motives, and true intentions. Count Almaviva, an aristocrat, falls in love with the lovely Rosina, the niece and ward of Doctor Bartolo. Almaviva attempts to woo Rosina, despite Bartolo’s efforts to marry her himself. 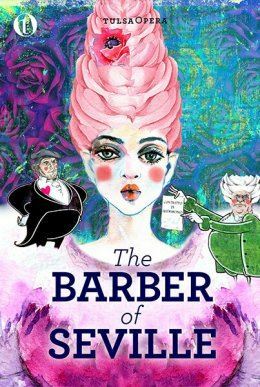 Enter Figaro, a barber and master schemer, singing the most famous aria in all of opera, Largo al factotum. With Figaro’s help, Almaviva fools Bartolo with his schemes and disguises — ultimately winning the girl. A night of hilarity and belly-laughing humor.